Canada Post delivery is suspended across the GTA right now - Canada Eh? Besides transit delays and school campus closures, Canada Post is now also affected by Toronto’s freezing rain. That’s right, your mail isn’t being delivered today. 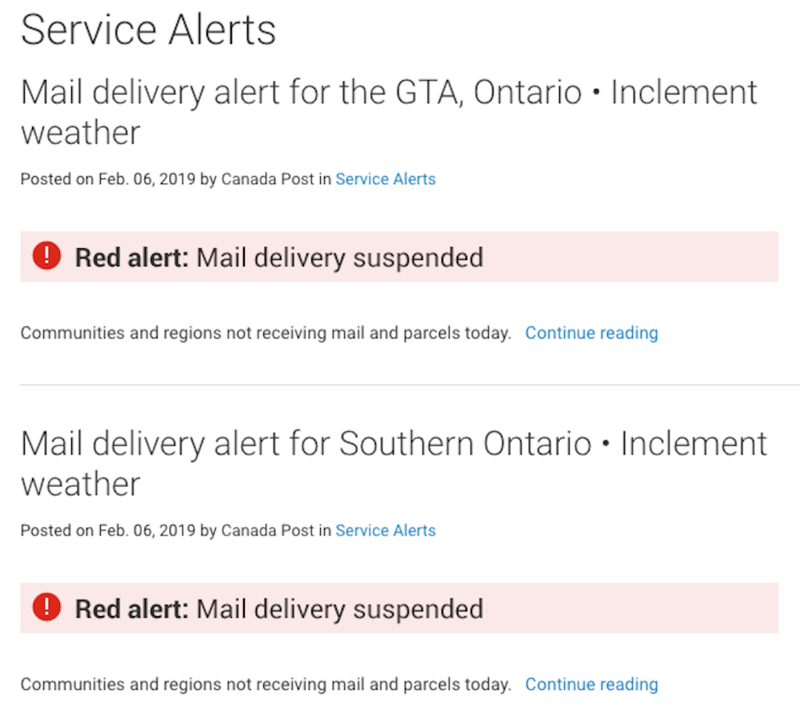 According to a Canada Post service alert, communities and regions across Southern Ontario will not receiving mail and parcels today due to “inclement weather.” This includes the GTA. Freezing rain, snow and hail are currently hammering Toronto, and the wild weather is expected to continue tonight and into Thursday morning. Hopefully the precipitation eases soon, and you won’t need to wait too long for your deliveries. Until then, consider staying hunkered down. If you need to go out, Toronto Police Traffic Services is advising drivers to slow down, and increase following distance during the icy storm.